Colours of the Soul comes to the Isle of Avalon. Come… awaken your spiritual senses with the vibrant Colours of the Soul. 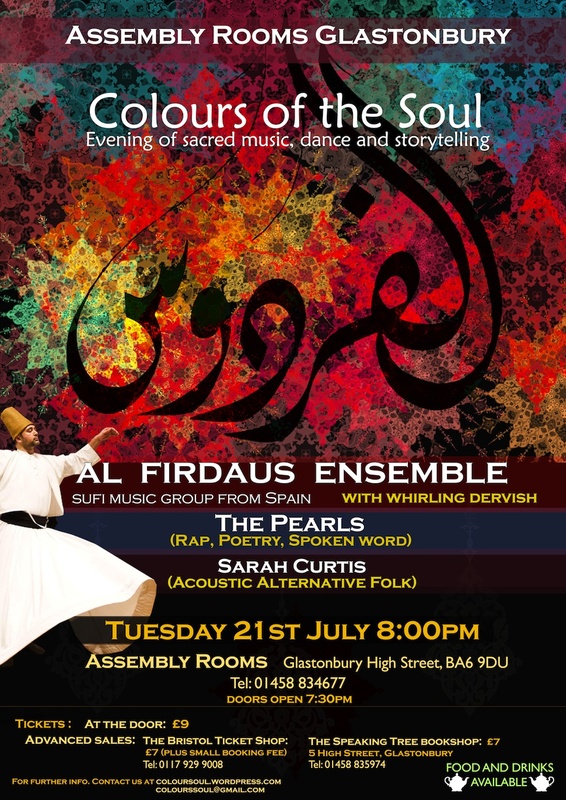 A colourful evening brings three groups of varying styles, local, national and international united in their love of Sacred Music to Glastonbury.